Born: July 21, 1832 in Sagamore Ma. 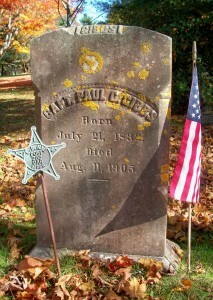 Died: August 11, 1905 in Bourne Ma. at 73 yrs, 21d. Where Lived: 415 Barlows Landing Rd. in Pocasset Ma. Married: January 23, 1855 in Sandwich Ma. 1. Eleanor M. Gibbs; (November 9, 1858 – October 28, 1939); Eleanor lived at Barlows Landing Rd with her father. She died at 80 yrs, 11 mos, 17 d. & is buried in Cataumet Cemetery. 2. Albert Cobb Gibbs; (June 4, 1860 – ? ); Married Annie Smith (1856 – 1912) in 1890; Albert was a Mariner; They lived in Brooklyn N.Y.; He & Annie are buried in Cataumet Cemetery. 3. Irving Foster Gibbs, Capt. ; (March 31, 1862 – April 11, 1933); Married (1) Mary/Minnie Eliza Davis (1862 – 1901) (Alden P. Davis & Mary L. Stebbins) in Chicago Il. on July 5, 1888 & married (2) Beulah Alice Davis Jacobs (1871 – 1939) (Charles L. Davis & Caroline A. Lane) in New Bedford Ma. on July 2, 1906; Beulah married (1) Adelbert Eugene Jacobs (1864 – 1899) (John H. Jacobs & Julia Welch) in Somerville Ma. on October 31, 1893; Irving, Mary/Minnie & Beulah are buried together in Cataumet Cemetery. 4. George F. Gibbs; (April 2, 1866 – December 18, 1933); Married Belle Swan (1859 – 1941) (Joseph C. Swan, Jr. & Isabella Alexander Field) in Nebraska Abt,1901; George was a Furniture Dealer in Omaha Ne. 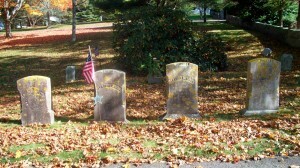 ; He & Belle are buried in Omaha. 5. Sarah Frances Gibbs; (April 12, 1868 – May 22, 1944); Sarah was a member of Bourne High School Class of 1887; She died at 75 yrs, 1 mo, 10 d. & is buried in Cataumet Cemetery. 6. Faustina P. Gibbs Peckham; (November 18, 1872 – 1961); Married Arthur R. Peckham (1866 – 1956) (William G. Peckham & Mary H. Perry) in Pocasset Ma. 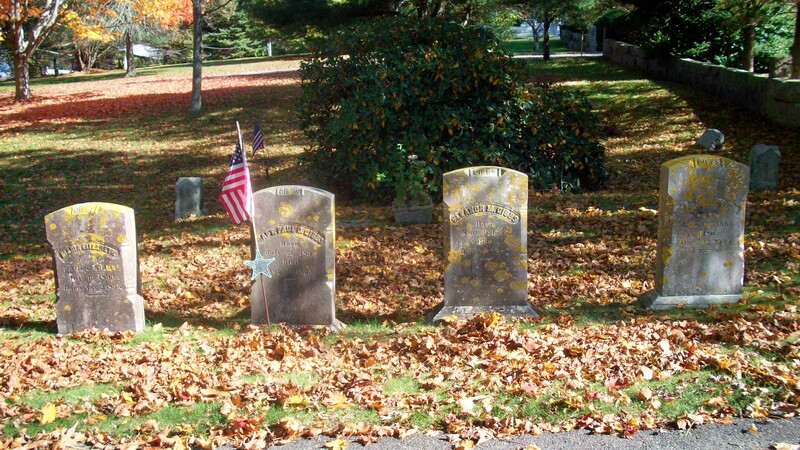 on November 28, 1892; Faustina & Arthur are buried in Mount Hope Cemetery in North Attleboro Ma. ; Their daughter Barbara Peckham Delaney & her husband Ernest Harold Delaney are buried in Cataumet Cemetery. “The following sketch, in Capt. Gibbs’ handwriting, is among the papers of the E. Harold Delaney family. Mrs. Delaney was Capt. Paul Gibbs’ granddaughter. The material is especially apropos. Capt. Gibbs was a coastal skipper but he also sailed around the Horn to California and made numerous voyages between New Orleans and Massachusetts. He is an example of that combination seaman and businessman a New England skipper had to be. During his service in the U.S. Navy, his ship, the U.S.S. R.R. Cuyler was at the siege of Mobile Bay; – fourth in line when Admiral Farragut gave the order, “Damn the torpedos. Full speed ahead.” A captain ashore can’t always resist the sea. In retirement years, Capt Paul was in demand as a boatman. He worked one summer for M. N. Richard and several for J. H. Dwinell. Captain Irving Gibbs continued to sail in coastal trade. He sailed to South America for coffee and to Canada for lumber. He carried cobblestones from Rockport, Massachusetts, coal from Newport News, Virginia, and codfish and ice to the Bahamas. It’s said that Capt. Gibbs aboard Golden Ball and Capt. Ed. Barlow aboard Schooner Jesse Barlow had many a race with their cargoes up or down the coast.